Bi-2212 films were fabricated via sedimentation deposition with an addition of KCl solution. Using 0.04 wt% KCl solution to the powder suspension, an as-deposited film with smaller particles and high particle size uniformity was obtained. The resulting post-annealed Bi-2212 film showed a smooth and featureless film surface with high c-axis orientation and Tc,onset = 85°C. C. V. Cantor and R. Sarmago. 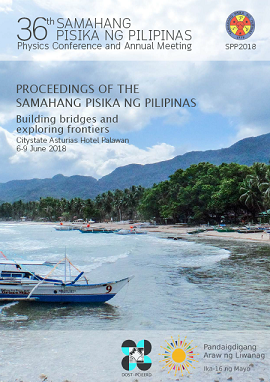 Fabrication of Bi-2212 sedimentation films using KCl solution, Proceedings of the Samahang Pisika ng Pilipinas 36, SPP-2018-PA-15 (2018). URL: https://paperview.spp-online.org/proceedings/article/view/SPP-2018-PA-15.